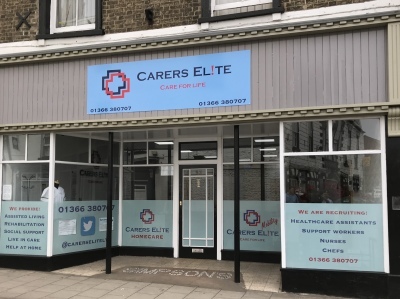 At Carers Elite we provide temporary and permanent solutions to your staffing needs. We specialise in the care industry, with everything from domestic assistants to registered general nurses. We also have a number of cook/chefs registered aswell as admin assistants. We run a very thorough recruitment process for all of our staff, this includes an enhanced DBS check, a minimum of 2 satisfactory references, an in depth mandatory training course and a satisfactory shadowing period for those new to the care industry. This ensures the candidate I place within your establishment is both fit and has the right skills required for the job. We are a small, locally run firm so we will do our best to meet budgets with our already competitive rates. Rest assured you are getting the quality you pay for, we have over 15+ years experience in the recruitment industry and we are glad to say it's been a successful 15 years of placing the right candidate with the right company. Staff are fully trained to the highest standard. Copies of training will accompany their profile before they start their first shift. You will also be informed of Co-workers that are new to the care industry and you will be offered a free shadow shift to evaluate suitability. Many of our Co-workers have been given medication awareness training so after a competency shift with your Seniors, we are happy to sign them off with your agreement to deliver medication.